This is a site redesign that converted a desktop-only blog site to a responsive personal brand site that highlights this client as a speaker, author, and facilitator with an expertise in virtual workplaces. 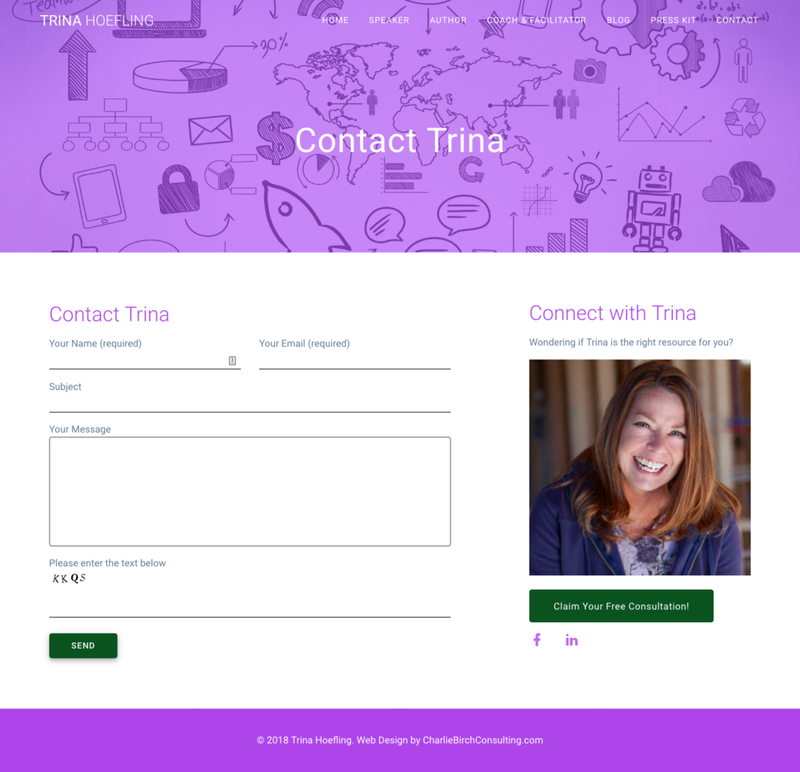 I streamlined the branding, ensured mobile responsiveness by installing and customizing a new responsive template, optimized the on-page SEO, reduced and stylized the footer, improved usability, rewrote copy to highlighted her keynote topics, her books, and her coaching and facilitation offerings, and changed navigation menu to highlight the 6 strategic pages. This site is built on managed Wordpress site. “Charlie is way more than a web designer. She also brings the skills of brand strategist and coach. She was the perfect person to help me think through what I DO want on my website. Partnering with Charlie was much more rewarding than working with a transactional web services vendor.